Blurb: They are at it again! The Students have sold me their grim secrets and I have managed to get their words onto paper without anyone of them finding out. I have been posing as an undercover substitute teacher in order to get a closer look at their growing immoral tendencies and I don’t like what I see. This collection of twelve chilling tales will get you into the heads of the most ghastly young adults as they stop at nothing to quench their thirst for greed. They are obsessed with things like popularity vanity and often turn to harmful actions when pushed in the wrong directions. Some have even turned to murder in their wicked ways. The Students Sold Us Secrets Volume Two is available in Print & E-Book from ASJ Publishing, Amazon, and various other online retailers. The eldest of many siblings, his interest in writing started in 1989, when he lived in a small town in Victoria, Australia. It was not until 2008 when he saw his dream finally come, when his first novel was published by a company in the US. 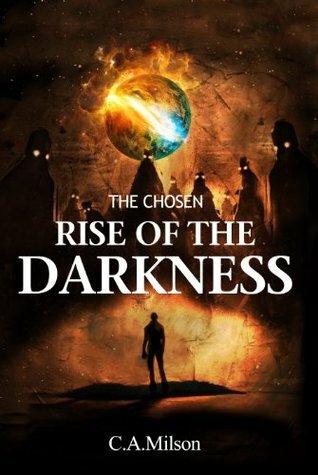 His books include; “Rise Of The Darkness”; “Bloodline Of Darkness”; “Pick Up The Phone” (Under his real name of Chris Jackson); Izbranny (Russian version); and “Not So Ordinary Girl” (which he co-wrote with well-known sports entertainment writer, J.D.Rebel). His interests include films, foreign culture, traveling, cinema/film, mythology, cooking, Xbox, and spending time on his backyard hobby farm. Plot: The Sad Cafe, brings to life the gritty world where cause and effect, life and death, love and hatred play out a delicate balance. A place where unrequited love is the driving force behind closing ourselves off from the world, and is the cause of unrelenting bitterness to the happiness that was taken from us, the happiness we long for. 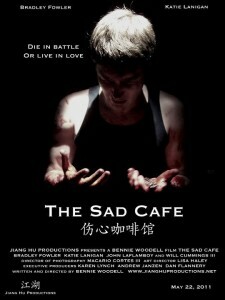 The Sad Cafe is, at its core, a love story…a romance tragic in all aspects. A testimony to the pain people endure in their pursuit for love and companionship. My Tagline: Inner monologues, double dipping hitmen, and Carl Grissom…. Review: When you are enlisted to be a hit-man, there are certain things that ring true. 1. The life you once knew will be gone, and 2. Personal relationships are expendable. This film, produced on a modest budget of $8,000 hit the mark in telling the story of one hit-man who goes from a street-kid to a crime boss’ number one guy. Bradley Fowler plays the role of Jack. A former street kid taken in by a crime-boss and is now an elite hit-man. No hit is too big for Jack. He is given an assignment and he carries it out to the letter. That is until he is given an assignment to kill his new girlfriends’ father (who he first meets in a restaurant with Rose later that day). Knowing that he is torn between the devotion he has for Rose and his loyalty to the mob, Jack needs to make a decision that will end badly, no matter which way he looks at it. Kill the girlfriends’ dad or betray the mob? Not an easy decision to live with and one that will have consequences in the short term. I will not say too much of how things play out in this film, but I will say that even some hit-men have a sense of humanity, and Bradley Fowler shows that he is actor to keep an eye on in future films. If you like The Blacklist or The Untouchables, then watch this by all means.